Friends.. Here is the Question Paper of Postal/Sorting Assistant Re-Exam 2015 held at Madhya Pradesh Postal Circle on March 15, 2015 under Shift II. This will serve as a model for those having re-exams in coming days. This Question Paper has been shared by our friend Deepak Lodhi from MP Circle. We thank him & wish him all the very best for good result. 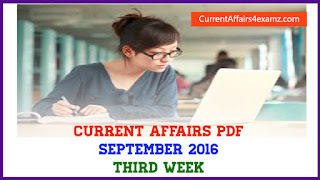 You can download the question paper as PDF from the below link.